Despite being British, and living in the country in-between trips abroad for my entire life, I have to admit that it’s taken me a while to fully appreciate the United Kingdom. I lived in a suburb of London until I was 18 years old, and then moved to the West of England; this and subsequently meeting people from all over the country and exploring new regions of the UK made me realise how there’s loads of unique things to do in the UK and what a beautiful island I live on. As I travelled abroad and started to meet people from all over the world, I learned that many yearn to explore the Yorkshire dales, the southern Cornish islands and the beautiful ancient universities of Oxford and Cambridge. I realised that, for a country of such a tiny size, there’s a huge amount of culture, history and landscape packed in. Even though I’m soon to be venturing to the antipodes, I finally have a sense of the beauty and individuality of the country that I’m leaving behind me. I’ve still explored painfully little of the UK, and I know that there’s so much more to check off my Great British Bucket List! But here’s the 100 things that I have either been to and loved, wish to go to one day, or great things to see and do that other bloggers have recommended. Here’s the 100 best things to do in the UK. Click on the map to view the best things to do in a certain area, or scroll down to read the entire UK bucket list! What would be on your UK Bucket List? Where better to start this UK bucket List than the capital of the country? 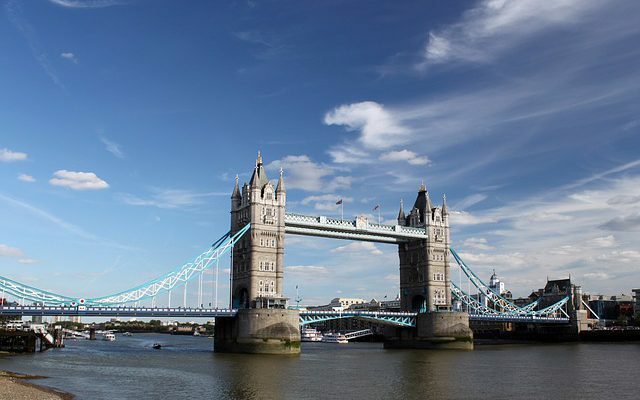 One of the most famous cities in the world, London is the centre of British society, with a compelling history, ever-changing arts culture and a vibrant atmosphere. Read on for the popular, touristy attractions and more off the beaten path things to do in London! One of the most famous churches in the country, the gothic style Westminster Abbey has been the traditional place of the coronation and burial of British monarchs. It’s actually not technically an Abbey, but a ‘Royal Peculiar’, which is a church responsible to the sovereign. Take a visit to Westminster Abbey and marvel at the majestic detailed interior carvings and tapestries; it is very easy to imagine somebody becoming a King or Queen here! It’s ever so touristy, but if you only do one mainstream thing in London, make it the London Eye. It takes half an hour for your pod to travel the full length of the wheel, and the views of the capital sprawling out beneath you are absolutely unmatchable. One of London’s most iconic structures; Elizabeth Tower which contains Big Ben, proudly stands on Southbank with the Houses of Parliament next door. On Saturdays and during parliamentary recesses, you can take an audio or guided tour of the houses. You will be taken through a thousand years of history and educated in the fascinating and complex tale of how British politics came to be today! One of the more off the beaten path things to do in London is a tour led by the formerly homeless with Unseen Tours. One of the highlights of the trip was the climb up Primrose Hill to look out over London city. I have been to this part of London and have admired this view before, but for my guide Mike it isn’t just a beautiful view. It is a reminder of his old life and the bankers that caused the financial crisis and recession that changed his life forever. This Anglican Cathedral is placed on Ludgate Hill in the City of London, and is dedicated to Paul the Apostle; founded in AD 604. It is one of London’s most notable sights. Take a guided tour of the cathedral and enjoy the fascinating history that the marvellous building revels in; and if you’re visiting on a Saturday, you can even climb the dome of the cathedral! Known as the place where ‘East meets West’, the observatory is where GMT has been calculated for centuries. Here, you can stand with one foot in the Western Hemisphere and one in the Eastern, learn about the makings of the first telescope and educate yourself with how time was standardised in the UK the world! You’ll be sure to be graced with some outstanding views of London as well. The famous Victorian bridge is open to walk over and explore, where you can enjoy the exhibition and monument, and learn all about its history. To look at the city from another perspective, you can walk over the glass floor of the exhibition, peering down 42 metres to see the city and River Thames sprawling below. At 11:30am every day in the summer and on alternate days throughout Autumn and Winter, a patriotic ceremony takes place at Buckingham Palace, where the guards pass over duties as they change shifts. You’ll undoubtedly recognise the guards that stand outside the palace – with their red uniforms and tall black hats – as a symbol of Britain. A visit to the Tower of London, the UK’s most famous castle and jail (which has seen various regal prisoners!) is a must when you’re in the capital. If you want something behind the scene, you could go on an exclusive night time ceremony of the keys tour! Here’s some more information about visiting the awesome Tower of London! Here is the world’s largest antiques market which boasts over 1000 stalls and shops who sell unique collectables and antiques. If you’re looking for something special to commemorate your time in Great Britain, here’s the place! There’s also a huge amount of retro and vintage clothes on sale, some at amazingly cheap prices. You may know Brick Lane as one of the best places in London to “go for a curry,” due to its large collection of South Asian shops and restaurants. But besides the good eats, Brick Lane is home to the ultra-hipster Cereal Killer Cafe, the bustling Brick Lane Sunday Market, and incredibly cool street art. Quite the change from its old reputation as the scene of the crime of the Jack the Ripper murders, it is now truly a must-see neighbourhood in East London. The museum houses 80 million items from botany, entomology, mineralogy, palaeontology and zoology departments. It is a fascinating tour through our ancient history and how this has enabled Britain and the world to evolve into the place it is today. There’s lots of great interactive activities and the museum is geared toward all ages! 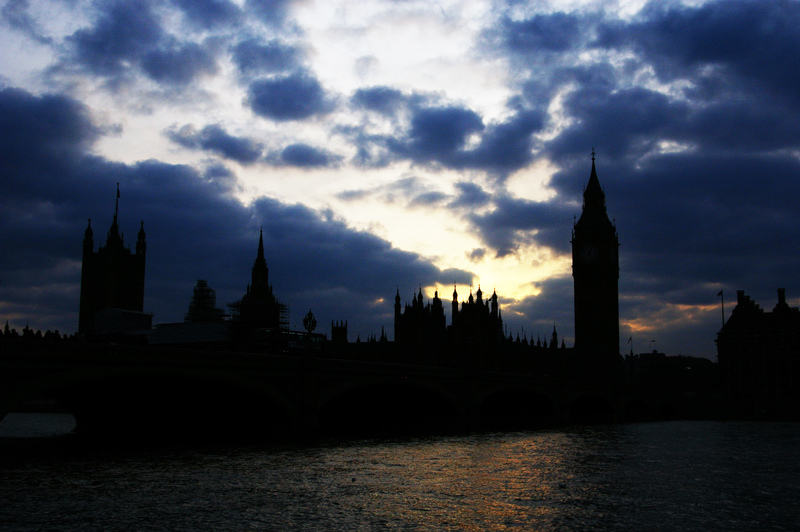 Pssssstttt… Are you visiting London? Get your accomodation sorted on booking.com today! As a thankyou from myself and booking.com, if you book through Claire’s Footsteps, you’ll receive a £15 reimbursement back into your bank account after you stay – while still getting the same fantastic rates. Click here to check accommodation prices and to book! If you want a bigger fix of the capital, check out these ten unusual things to do in London, or how about these thirty free things to do in London. Much of the South East is in very close proximity to the capital of the UK, however, the area basks in gorgeous countryside and enjoys stunning beaches. The closest point to the continent, the area revels in a rich history (although, hasn’t enjoyed the invasions too much!) which makes for some fascinating things to do in South East England, many of which are UK bucket list worthy. Check out these fascinating counties for a fusion of rural and urban societies and cultures. One of the oldest Christian structures of England, the cathedral at Canterbury has always had national significance. It was founded in 597 but rebuilt in the 1000’s; of which a great deal still stands. The cathedral displays a range of stained glass, some which has survived from the Medieval era and more from through the ages, including some contemporary pieces from the 20th century. This and lots of other historical information at the cathedral means that here, you can learn about centuries of fascinating British history which has moulded the country into how it is today. 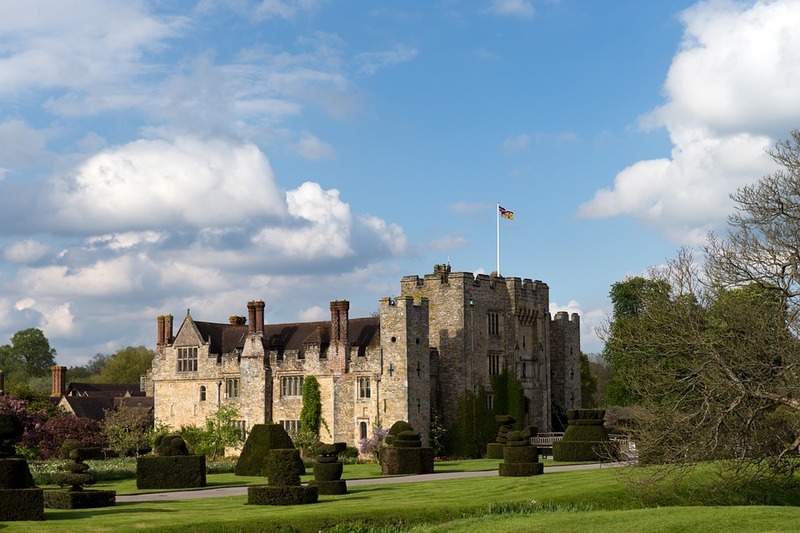 The childhood home of Anne Boleyn – Henry VIII’s second wife and Queen Elizabeth I’s mother, and one of British history’s most colourful female characters – Hever Castle still stands majestically in the middle of a moat, open for visitors nearly every day of the year. You can really engage with Tudor history throughout this castle, which has preserved some of the ancient rooms fantastically. One of the queen’s residences, and the largest and oldest inhabited castle in the world, Windsor Castle is a must for every history enthusiast. Here, you can enjoy a changing of the guard ceremony and explore some of the inhabited rooms. Take a look for the flag flying; if it is, it means that Her Royal Highness is around! There’s few things as charmingly British as colourful beach huts, and these excel in the pretty Kentish seaside town of Whitstable. While these are all privately owned, the exterior of each individual hut can be properly enjoyed by a walk along the beach! Full of independent shops and alternative traders, North Laine represents the unique identity of this coastal town. North Laine grew in the 1830s, when the Brighton Pavilion was constructed; and has prospered ever since. It now enjoys a reputation as Brighton’s cultural epicentre and is the perfect place to pick up any quirky items of shopping! No, it’s not the Taj Mahal! With influences from India and China, this majestic palace is a former royal residence; it was the holiday home of George, the Prince of Wales in 1811! It was adapted again in 1815. It’s one of the best examples of Regency exoticism in the country and the interior is open to visitors. Proudly protruding from the middle a moat, Leeds Castle has been called ‘The Loveliest Castle in the World’. Built in Norman times, it was subsequently was the home of British Royalty for centuries (it was once Henry VIII and Catherine of Aragon’s palace!) and now exists as one of Britain’s favourite tourist attractions – and the site of the world’s largest dog collar collection! The Grade I listed Sissinghurst Gardens are what really give the county of Kent its nickname ‘The Garden of England’. With 460 acres of Wealden countryside and manicured gardens, there’s plenty of gorgeous views and outstanding flowers to take in at Sissinghurst. The counties that comprise South West England have a unique culture and heritage. From acres of farmland, iconic beaches, historic cities to vibrant cultural hubs, the West Country is a glorious pocket of the country that maintains a distinct identity. The South West definitely contains some of the more beautiful things to do in England. I’ve spent five years exploring this diverse region, and I know that I’ll be back for more one day! An icon of Bristol (my favourite city, in case I haven’t mentioned it), the Clifton Suspension Bridge was designed by Isambard Kingdom Brunel and opened in 1864; it was constructed at the narrowest point of the Avon Gorge to connect Clifton and North Somerset, and was built high enough for warships to get into the city. Nowadays, it’s still a popular way to get out of the city and into rural Somerset, and is known as one of the most beautiful bridges in the country, which makes it a popular UK bucket list photography spot. The Romans discovered the hot springs of Bath and subsequently created their hot baths here, as a place for the local community to socialise and pamper. The baths have been fantastically preserved and nowadays you can take a guided tour around the attraction, during which you can vividly imagine being a part of Roman society some 2000 years ago. The site of the first King of England’s coronation in 973, Bath Abbey has since had an intriguing and complex history and has always been one of the best things to do in Bath. An abbey has stood on the site since Norman times, but it fell into disrepair until 1499, when Bishop Oliver King had a dream that instructed him to redesign the monument. This grew to a halt during the Dissolution of the Monasteries, but started again under Elizabeth I and developed into the astounding cathedral that it is now. A prehistoric stone circle in Wiltshire, Stonehenge is internationally recognised and is known nowadays as a symbol of Britain. The circle is over 4500 years old, and how the stones were transported to this location with no technology remains an enigma, which adds to its appeal as a tourist attraction! The site remains one of great spiritual significance. If there was a place for a revolution, it could only be Stokes Croft in Bristol. The UK’s best outdoor art gallery, talented graffitists are constantly adoring the walls of this hippy street with slogans, bright pictures and catchphrases about a variety of topics including, politics, pacifism, independence and jokes. It’s a wonderful place to see a thriving new culture emerging. There’s nowhere quite as quintessentially British as the Cotswolds; which means that visiting them should be an essential on your UK bucket list. With charming old houses, beautifully tranquil streets and surrounding rolling hills; during a walk in these villages, you could easily feel like you’ve gone back 300 years. I really recommend visiting Stow-on-the-Wold, Winchcombe, Tetbury and Bibury. One of the best spots in the UK to catch a wave, the chilled seaside town of Newquay has fully engaged with the sport to offer a delightful surfing culture – one that you might even expect to experience somewhere in Australia or California! One of Britain’s most famous and beautiful cathedrals, Wells Cathedral is nothing short of a masterpiece. The exterior is intricately carved with fascinating designs, and the interior boasts different prayer sections, an impressive navel and sometimes a live choir. Read more – How to visit Wells and Glastonbury for just a pound! Just round the corner from Wells Cathedral is the oldest residential street in the UK! All of the houses on this road date back from the 14th century and still act as houses to this day. In fact, the only reminder that you are still in the 21st century is the occasional parked car. Just a short ferry from Penzance lay these stunning tropical looking islands. You’re always only 10 minutes walk from the beach; where the crystal blue waters and golden sands look more Carribean coast than British seaside. Thanks to SoloSophie for this amazing image – follow her on instagram for more! These mystical moors have a lot of fables and stories surrounding them, and they are a fantastic place for an afternoon hike. With rolling hills, friendly wild ponies and stunning waterfalls, including featured Venford Falls, this is the British countryside at its best! The most southernly point in mainland UK, Lands End sounds like a bit of an apocalyptic name but it is actually where many begin a South – North exploration of the country. Looking out on the Atlantic Ocean, you can feel almost as if you’re at the end of the world – but don’t worry, once you turn eastwards you’ll be back in the gorgeous Cornish landscape! 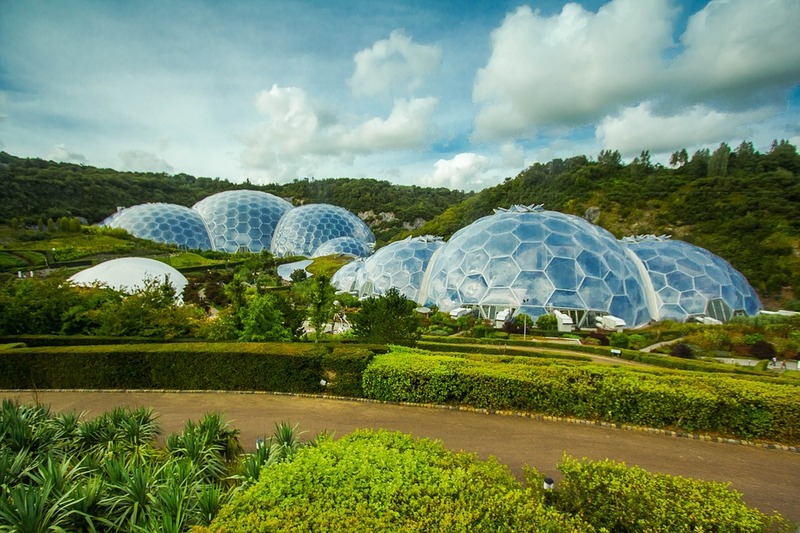 In the heart of Cornwall is The Eden Project, two biomes which contain plants from diverse environments. The project is a source of environmental education; it encourages visitors to learn about the importance of the plants that it showcases and how they are fundamental to modern society, as well as enjoying the atmosphere of a rainforest or Mediterranean climate in the UK. It’s an interesting and unique day out for adults and children alike! This gorgeous rugged coastline spans Dorset and East Devon and, with rocks that are aged up to 185 million years, is one of the most geologically fascinating areas of the country. If you’re up to the challenge, all 95 miles of the coastline can be walked (as well as the rest of the South West in the South West coast path). Check out the Jurassic Coast website, Facebook or Twitter for more information. If you’re lover of the mystical and marvellous, get down to the Museum of Witchcraft in Cornwall, the world’s largest display of anything supernatural. Witches have a fascinating history here in the UK, with many so called ‘witches’ exisiting in communities in Medieval times, and here you can learn all about them! Made up of two caves, Cheddar Gorge offers a compelling amount of prehistoric history and the site is where ‘Cheddar Man’ – the skeleton Britain’s oldest man (!) was found. The stunning caves provide an insight into ancient British history and geology. Want to feel like you’re abroad in Cornwall? Then check out these gorgeous, Mediterranean-esque steps. Dramatically jutting out to sea in crystal blue waters, they certainly don’t look like the Great British Seaside! Fancy something weird and wonderful? Take a stroll down Britain’s hippiest high street, where most shops boast tarot cards and magic herbal supplements! Many people walking around Glastonbury will be wearing the most fantastic brightly coloured outfits – it’s a town where anything goes! Somewhat of a hidden treasure of an island lies a little off the coast of Cornwall. The smaller, lesser-known sibling of Mont Saint Michel in Normandy shares the same tidal characteristics as its French counterpart and has been occupied since at least 4000 BCE. The fortified castle sitting atop of the island has been destination for royals such as Queen Victoria and Queen Elizabeth II and is now managed by the National Trust. Situated on the world heritage Jurassic coastline in Dorset, the stunning, secluded Lulworth cove is a must visit for anyone venturing down to South-West England. Not only will you be greeted with some amazing views of natural beauty across the cove but also within easy walking distance you will find the famous limestone arch of Durdle Door. You can also rent kayaks, go coasteering and explore a nearby fossil forest! Britain is such an underrated destination from a wildlife point of view. With 11,073 mi. (17 820 km) of coastline, marine wildlife is one of the most exciting in Europe. In July and August on the West Coast – especially in Cornwall, around the Isle of Man and in the Hebrides – you can swim with the second biggest fish in the world; the basking shark. All year round, The Isles of Scilly, Lundy Island, and the Farne Islands are the best spots to get a chance to encounter grey seals underwater. Encompassing beautiful field and moorland, the metropolis of Birmingham and countless smaller cities and towns, the West Midlands is an often underrated area of the country. There’s so many things to do in the West Midlands, whether they be old cities or country walks, read on to find out the pick of the best! A wonderful cobbled street, full of shops, restaurants and a few bars and pubs to sit outside of. One of the oldest buildings ‘Grey Friars,’ dates back to the 15th century and is now a National Trust building. Taking a stroll along the river and checking out Worcester Cathedral is a must too. Not frequented very often by tourists, these rolling hills are ideal for quintessentially British walks and picnics. The Area of Outstanding Natural Beauty is known not just for its gorgeous green fields but also its spring water, which derives from some of the many holy wells in the area. Established in 1096, Oxford is the oldest university in the English speaking world and the second oldest in the world – closely beaten to the title by the University of Bologna in Italy. Visitors are welcome to explore the public areas of the university. Here, you can admire the majestic buildings of the colleges, tour the museums and libraries and even enjoy a spot of souvenir shopping! Check out this city guide to Oxford for some great tips for the city! Quite possibly the world’s most famous playwright, William Shakespeare was born and grew up in the historic town of Stratford on Avon. On a visit here, you can look around his childhood house and learn all about the playwright who has inspired generations for centuries. The international chocolate brand Cadbury was founded in Birmingham in 1824 and it has dominated the chocolate market, both in Britain and abroad, ever since. Cadbury World is a self-guided tour where you can learn all about the history of and making of chocolate, as well as the unique Cadbury story. Learning all about Britain’s chocolate brand should be on everyone’s UK bucket list! From the rolling hills of the Peak District, to the exciting cities of Lincoln, Nottingham and Sheffield, the East Midlands is a diverse region, ideal for those who are seeking both adventure and culture. Read on for the top things to do in the East Midlands! The United Kingdom has many impressive great houses but there is something about Chatsworth that causes people to fall instantly in love with it, and continue revisiting. Sitting in the middle of the stunning Peak District and famous for being Mr Darcy’s House in the 2005 film of Pride and Prejudice, you can easily spend a day here exploring the house, gardens ( with its famous water fountain) and for younger explorers the adventure playground. Enjoy a Bakewell Tart created in the local village while you sit back and admire the stunning scenery. The Cathedral City of Lincoln is petite, and has a totally walk-able compact city center, but this charming city takes the motto ‘good things come in small packages’ seriously, and has bags to offer any tourist. After defeating our historic ‘Steep Hill’ (as the name would suggest, it’s a fair hike!) you’ll be warmly greeted with traditional old style English pubs, cute cobbled paths, quirky boutique shops and cafes as well as the Castle grounds and Cathedral. Any weekend tripper should include a visit the Castle to discover of of only four surviving sections of Magna Carta! The University of Cambridge is the second oldest in the English speaking world (second to Oxford), and was founded in 1209. The university now boasts extraordinary architecture and fascinating educational museums which reminisce notable alumni and groundbreaking discoveries at the university. A national park in rural Derbyshire, the Peak District offers breath taking views, charming country walks and meadows boasting some of the country’s best flora and fauna. The unspoilt countryside is interrupted only by scenic historical villages. Where better to enjoy a countryside walk? The Norfolk Broads is a series of lakes and rivers, all merging into one another to create a fantastic navigable wetland area. The Broads span over 303 kilometers and are perfect for boating and lakeside activities. The area has been coined ‘Britain’s Magical Wetland’ and makes for a perfect rural day out. Revelling in some of the best British seaside, and enjoying lakes, mountains and moorland, the North West is a fascinating area of the country. Despite being diverse and containing some of the most remote things to do in England, it is easily driveable, and can be explored by train or car. Taking a cruise of the largest natural lake in England will provide views of some of the most beautiful countryside in the UK, that provided inspiration for Beatrix Potter’s stories. You can choose whether to take a quick boat ride around some of the lakes islands or spend the day stopping off at the various villages surrounding the lakes to sample the local delicacies and meander the winding streets. The Yorkshire Dales offer countless scenic hiking routes for varies fitness levels. Walk along the lush green hills and enjoy the views of Yorkshire’s most stunning National Park. Have a picnic along the way and enjoy some wild strawberries or stop at a traditional pub for a refreshing pint; a very quintessentially British item on your UK bucket list! The best-selling music group ‘The Beatles’ were born in Liverpool, and here you can explore more of their history through The Beatles experience, visit some of their childhood homes and grab some food in the Cavern Club. After The Beatles Tour, there’s still a lot more to explore in Liverpool: learn more about the huge impact the city had on British music, industry and immigration at the Museum of Liverpool or the impact the Titanic had on the city at the Merseyside Maritime Museum, while not forgetting to leave some time for the excellent shopping at the Liverpool One. Want to discover more of the Beatles’ home city? 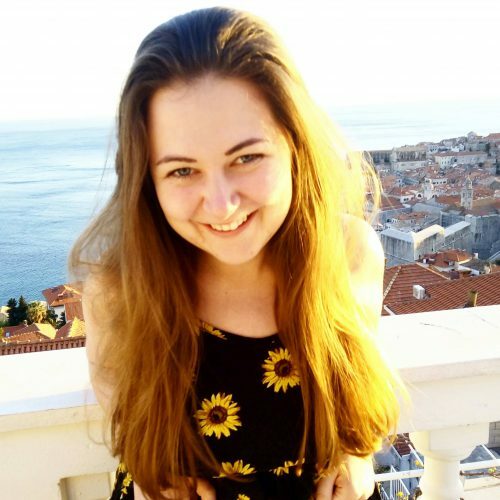 Here’s the best things to do in Liverpool by Naomi from Probe Around the Globe! Bolton Abbey in North Yorkshire is the site of some incredible 12th Century Monastery ruins set among beautiful gardens. We often used to go here on Sundays when I was studying in Leeds and I loved the feeling of being out in the wild countryside that this place offered. There are some great walking trails to enjoy here and throughout the grounds, a sense of magic and mystery pervades. For a few weeks every Autumn, Blackpool becomes ‘The Vegas of the North’, with over 1 million bulbs lighting up the promenade of this Northern beach resort. The best way to see this free light show it to take one of the trams along the promenade and then walk back while enjoying a dinner of fish and chips or a pie barm (bread with a meat and potato pie in the middle) and for pudding some traditional Blackpool Rock. Come during the day and brave the Big One at Blackpool Pleasure Beach Theme Park or head up the Blackpool Tower to get great views over the surrounding area. Castle Howard is a beautiful stately home on the outskirts of York. The house is open daily to the public and makes for a lovely day out for all the family. From the stunning interior of the house to the 1,000 acres of woodland, there’s something for everyone to discover here. The estate plays host to many events all year round; such as local markets and proms in the park, and the Christmas decorations are a must see! Check out the ancient city of York, or the renowned nightlife of Newcastle for a proper North Eastern experience! This area of the country enjoys unique museums and plenty of traditional things to do and see. Read on for the best things to do in North East England! Passing through medieval walls and the city gates, you will get a fantastic view over the city along the way. The historic walk is free but a guided tour is highly recommended if you would like to know more about the significance of the walls in the early days. Stop at the Gatehouse Coffee at Walmgate if you need a break! Afternoon Tea is the very essence of British elegance and tea culture and there is no better place to enjoy this tradition than the famous Bettys Tea Rooms in York, a little piece of heaven for anybody with a sweet tooth. Whitby is not only famous for being the inspiration of Bram Stokers great novel Dracula, but also for it’s fresh and delicious Fish & Chips. What better place to dig in to the famous English dish then at the seaside? You can’t come to Britiain without finding out how British cheese is made, can you? There’s a visitor centre, creamery and museum right in the heart of the town with the same name. You’ll discover how the cheese was made throughout the centuries and get to observe old cheese making equipment! And yes, there’s lots of cheese up for grabs…. Love it or hate it, it’s fair to say that nowhere does nightlife quite like Newcastle, Britain’s most northern main city. Here, the drinks are cheap and everyone is super cheerful – until the next morning, that is! Originally sprawling coast to coast, this defensive wall was built in AD 122 by 15,000 men and work was completed in just 6 years. At its time of use, it marked the end of the Holy Roman Empire. Today, much of the wall still remains and it is possible to follow the trail by foot. A visit to a true British seaside town isn’t complete with some fish and chips or an ice cream. Scarborough has the best of both, with Harry Ramsden’s Fish and Chips and the best ice cream sundae in the country at The Harbour Bar. This family run ice cream cafe has been open since 1945 and has barely changed in over 70 years. Whether it is a towering Knickerbocker Glory or Banana Sundae they have everything your ice cream heart desires. An absolute must for tradition, fun and 1940s glamour. With absolutely stunning views and landscapes, is easy to believe that Scotland could very well be enchanted. With an array of charming islands, bustling cities and beautiful glens and lakes, there is ample to keep you occupied in the most Northern part of the UK; here’s some unique things to do in Scotland that you should add to your UK bucket list right away! Closer to Bergen in Norway than London, this group of over 100 islands has been home of various groups of people since pre-histroic times. Amongst the barren but beautiful landscape, you can see amazing historical sites there like Jarlshof, which show the remains of houses dating back to the Bronze Age. Visit Shetland during the summer to experience all day sun, or visit in January to experience the Up Helly Aa fire festival and a chance at seeing the Northern Lights. There’s generally two ways to head north in Scotland, and I recommend the route that takes you through Glen Coe. The remains of a super volcano have left behind some of the most breathtaking scenery. Don’t miss the Three Sisters, three rugged mountain ridges next to each other. If you have the time, take a walk through arguably the most famous and beautiful Glen in Scotland. This monument just north of Fort William honours the elite Commando Soldiers, many of whom lost their lives in WWII and whose ashes are buried here, along with those of contemporary Commandos who have fought in more recent times. The Commando Memorial depicts soldiers overlooking their old training ground and on to Ben Nevis, the highest mountain in the British Isles. One of the best ways to see Scotland is by foot! The West Highland Way is a 96 mile trek which starts just outside of Glasgow and ends in Fort William (with lots of stops along the way!) Hikers trek over mountains, through farms, and alongside lochs – the true beauty of Scotland! This is a 500-mile circular drive starting and ending in Inverness, Scotland. This drive takes you along stunning coastlines and countless lochs. You’ll navigate through winding mountain passes and awe-inspiring landscapes. Step back in time as you visit castles, historic ruins, and heritage centers. Tantalize your tastebuds as you sip award-winning whiskies, taste deliciously organic beer, and sample some of the Highland’s local delicacies. With numerous trails to hike, beaches to explore, and history to discover, there is certainly no shortage of things to do and see along this award-winning route around Scotland’s northern Highlands. The highest mountain in the British Isles, the summit of Ben Nevis offers a compelling ascent to experienced climbers. Even if you’re not as apt at climbing, many walks can be enjoyed at the often snow-covered mountain. Gorgeous vistas of the Scottish highlands are enjoyed on the mountain, with access to the now ruined observatory, which was used to keep a watch over the area. Climbing Ben Nevis is an essential part of every Scotland road trip itinerary! In the heart of the Trossachs National Park, near Callander, Loch Lubnaig is one of the prettiest lochs in Scotland. Kayak lovers and Fishing addicts will usually be found enjoying its peaceful waters surrounded by the hills of Ben Ledi and Ben Vorlich. Did you know Britain has the most famous wreck diving site in Europe? At the end of WWI, fearing to surrender their fleet to the British Army, the German decided to scuttle their 74 ships located in Orkney. Thanks to the cold water, adventurous scuba divers come from all over the world to explore these exceptionally well-preserved shipwrecks. Puck’s Glen opened to visitors as Britain’s first forest park in 1935. It is named after Puck, a mischievous spirit who haunts many legends and appears in William Shakespeare’s A MidSummer Night’s Dream. Puck’s Glen Gorge Trail is a strenuous path that cuts through the dramatically rocky gorge. This 1.75 mile (2.8 km) trail takes visitors past several waterfalls and beneath towering Douglas firs. It’s like walking through a fairytale! Less than an hour of driving away from Glasgow, Luss is the best stopover to explore Loch Lomond National Park. Walking through the adorable village of Luss will offer stunning views of the largest Loch of Britain. From the pontoon, you can embark on a boat trip around the numerous islands on the loch. Dunnottar Castle is a stunning ruined clifftop medieval fortress, 18.5 miles south of Aberdeen and 2.6 miles south of the seaside village of Stonehaven. This breathtaking castle has been the backdrop for films such as Shakespeare’s Hamlet starring Mel Gibson and more recently Victor Frankenstein starring Daniel Radcliffe & James Mcavoy. Rumour has it that Dunnottar also inspired Merida’s home in Disney’s Brave. Dunnottar is definitely one of the best castles in Scotland and is well worth a visit. 876 miles from Lansend in Cornwall, John O Groats is the furthest North inhabited point in the UK, and is popular with travellers in England as either the start or finish of a British journey. But it’s not just the title of ‘The Far North’ that makes this place worth visiting; come here to catch a glimpse of Atlantic puffins, grey seals and killer whales, take amazing boat trips and marvel at the gorgeous, unspoilt scenery. John O Groats is not actually the furthest North point in the UK – nearby, less famous, Dunnet Head is higher up. There’s not much to see here, but if you really want to go to the end of the world, it’s worth visiting Dunnet Head too! A gorgeous landscape, which many deem to be ‘supernatural’, the Faerie Glen comprises natural pools, gently sloping hills and miniature waterfalls. Many people note the magical feeling they are graced with from a visit to the glen, and each visit engrosses an element of surprise and mystery. Loch Ness is a the lake in the Scottish highlands which is rumoured to be where ‘The Loch Ness monster” (Nessie) lives. There are many boat tours to ‘look’ for the monster and also a very historic castle along its waters called Urquhart. Edinburgh Castle stands on the skyline of the Scottish capital on Castle Rock, where an edifice has stood since the 12th century. It has played a pivotal role in Scottish development throughout the centuries, and is now is home to the crown jewels of Scotland, the Stone of Destiny and Mons Meg, a 15th century gun. You can take guided tours of the castle or enjoy an audio tour. Edinburgh’s a fantastic city with loads to explore and there’s lots of day trips from Edinburgh that aren’t to be missed. Pssssstttt… Are you visiting Scotland? Get your accomodation sorted on booking.com today! As a thankyou from myself and booking.com, if you book through Claire’s Footsteps, you’ll receive a £15 reimbursement back into your bank account after you stay – while still getting the same fantastic rates. Click here to check accommodation prices and to book! There’s loads of other things to do in Scotland that aren’t featured on this list. Check out these fifty useful travel tips for Glasgow or the best things to do in Stirling! Just to the west of England lays this often forgotten about area of the UK. There’s so many things to do in Wales; the south of the country boasts exotic beaches and charming rolling hills while the north of the country enjoys colourful towns and a fascinating language! Visit Wales to experience a culture like no other and add some of these experiences to your UK bucket list! On the Anglesey coastline is this stunning lighthouse. Placed on-top of a patch of grass on a rocky hill, the bright white lighthouse beacons from afar and revels in a postcard perfect view. Portmeirion is a little town in North Wales that looks like it belongs in Italy. It’s an explosion of colours and architectural styles, with bright turquoise shutters, pretty pink hydrangeas and exotic palm trees. Stay at the hotel to swim in the most amazing swimming pool by the river (it starred in a Ted Baker ad!). One of Europe’s best open-air museums and Wales’ most popular heritage attraction; if you grew up in Wales then you can guarantee you went to St Fagans Museum on a school trip at least once! Established in 1947, St Fagans Museum is home to a Welsh village created using over 40 original buildings from various historical periods in Wales, transported from their original locations and re-erected on the 100-acre parkland. The full list of buildings at St Fagans includes a bakery, tollhouse, tailor’s workshop, school-house, a post office and traditional farm houses as well as livestock. The buildings have been chosen because of their relevance to ordinary people from different social backgrounds and from different eras. It’s the tallest mountain in both Wales and England and part of the popular Three Peaks Challenge. If you’re not up for hiking to the top but you still want to see the pretty panoramic view, you can hitch a ride on the Snowdon Mountain Railway! This is a picturesque town build completely on lore. It is said to be the resting place of Gelert, the loyal hound of the medieval Prince Llewelyn. I won’t spoil the story, but it’s worth a visit. You can read the lore at Gelert’s grave, a short walk from the town centre. Located in Conwy, Wales, the smallest house in Great Britain is known as the Quay House and has a floor area of 3.05 by 1.8 metres and a height of 3.1 metres. It was a residence until 1900 – when the tenant was evicted because the council declared the house unfit for human inhabitation! The house is owned by the last tenant’s descendants and is now open for visitors, with information and history about the house inside. Thanks to Carly from Girl Out of Bounds for allowing me to use this photo! It’s the village with Europe’s longest name (which is unsurprising), and visitors flock from far just to get a snap of the crazy station sign! The village is located on the island of Anglesea, across the strait from Bangor. The name translates to “Saint Mary’s Church in a hollow of white hazel near the swirling whirlpool of the church of Saint Tysilio with a red cave”. Easy to remember, right? The Gower Peninsula was the UK’s first AONB in 1956 and it stil remains just as stunning today. It boasts moors, limestone cliffs and stunning golden beaches. A place for surfing or hiking the Wales Coast Path, it’s a fantastic spot to enjoy some of the best scenery Britain has to offer. A South Wales mountain range, Brecon Beacons offer a range of hiking, rock climbing and abseiling opportunities. Enjoy an active day amongst the regions highest peaks, and a relaxing night stargazing in this rural area of the country. Barry Island is a seaside resort town in the Vale of Glamorgan, home to a nationally famous pleasure park ,which has operated as such since the Victorian times. Come here to enjoy some timeless rides in a fantastic British seaside atmosphere. Ogmore-by-Sea is a small sea-facing village that can be found on the South Wales coast between Cardiff and Swansea. The beach is a sweeping arc of rocky pre-jurassic carboniferous limestone, in which the sand is only exposed at low-tide. Nearby, you can visit Dunraven Bay, or Southerndown beach, where a great deal of Doctor Who is filmed. The sand dunes are the scene of a daring WW2 prisoner escape story – 86 German Prisoners of War escaped through a 70 feet tunnel from Island Farm POW camp (set amongst the sand dunes) in 1945. Apparently, parts of Laurence of Arabia were filmed in these sand dunes. Pssssstttt… Are you visiting Wales? Get your accomodation sorted on booking.com today! As a thankyou from myself and booking.com, if you book through Claire’s Footsteps, you’ll receive a £15 reimbursement back into your bank account after you stay – while still getting the same fantastic rates. Click here to check accommodation prices and to book! A UNESCO world heritage site, Giant’s Causeway is located off the coast of County Antrim and is formed of 40,000 basalt columns, which are told to be the result of an ancient volcanic eruption. It is known as the fourth greatest natural wonder of the UK. Legend has it that the columns are a causeway built by a giant; constructed so two Irish and Scottish giants could meet and fight. Even if this isn’t true, there’s certainly a strong sense of mythology here! If you’re a Game of Thrones fan, you can enjoy filming locations all over Northern Ireland; and even if you’re not, there’s some absolutely jaw-dropping places in this region that tell a thousand stories! The best to check out are the eerie dark hedges, a row of trees that were planted by the Stuart Family in the eighteenth century. They were built to look compelling and intriguing, and still remain fascinating to this day. This coastal road traverses the 120 mile distance between Belfast and Londonderry and is widely known as one of the most beautiful drives in Europe. The drive explores coastal roads and mountains; coming together to offer a breath-taking and compelling journey. Located in the Northern Irish capital city, the Ulster Museum is the largest museum in the region and features a huge amount of exhibitions and artefacts from Ireland and beyond, over the centuries. Here is the perfect place to educate yourself in the history and culture of this nation! This Belfast-based cab company can really show you around Northern Ireland’s capital! The guides have over 28 years of driving experience, and have picked up random facts that you won’t get anywhere else. Take a Belfast black taxi tour for a real insight into this fascinating city! And remember to explore downtown Belfast, which includes the Titanic Experience, when you’re done! Once you’ve finished exploring these, check out this awesome list of unique things to do in Ireland, which includes both attractions in Northern Ireland and in the neighbouring Republic of Ireland! 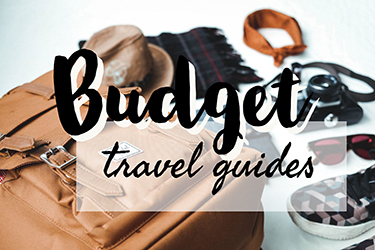 Your Great British packing list will be quite similar to that of any Europe trip. We have mild summers and cool winters, but don’t often get snow! Unfortunately, it can rain at any time of year, so be sure to have a good umbrella . If you’re driving around, a road map is a fantastic idea, as well as a Lonely Planet guidebook. In the summer, don’t forget dresses and shorts, and even sun cream and mosquito repellent – especially if you’re visiting Scotland! <br /> (Note: if you use the links above I receive a small commission, at no extra cost to you). If you’re visiting Great Britain, get your accomodation sorted on booking.com today! As a thankyou from myself and booking.com, if you book through Claire’s Footsteps you’ll receive a £15 reimbursement back into your bank account after you stay – while still getting the same fantastic rates. Click here to check accommodation prices and to book!There you have it, the very best things to do in Great Britain! Would you add anything else to this Great British Bucket List? Which of these have you visited and loved? Which one is top of your ‘to go to’ list? Let me know in the comments below! If you enjoyed this article, please share it or follow me on Facebook! This is one of the best must see lists of Britain I’ve seen. You covered so much! This is is very helpful for anyone planning a trip there. The photos alone which btw are beautifully done are enough to help you make decisions on what to see and where to go. I’m glad you like it Nancy, and hopefully it will inspire you and others to see as much of Britain as possible! What a great list so well put together! My daughter lived in Newcastle for three years and in London for one. I got to see a whole lot of the UK with three visits during those years. But your list shows I missed a lot, too! Now that the US dollar is much stronger than the pound, it is time!. There’s always a bit more to see in this diverse island, I find 🙂 Hope this list proves as some inspiration for you! A right list! For someone visiting the UK this is awesome! Stonehenge a must and only something I got round to seeing when I was 23! Thanks very much, I hope it proves useful to UK visitors! Yes, stonehenge is beautiful isn’t it. I know what you mean, I’ve got lots to get through on here, too! So much to work through! Next on my list would be that North Coast 500 – toot toot! Thanks for featuring us. If any of your readers would like any advice on hiking the West Highland Way, they know where to find me. Haha, I know there’s a fair bit on here! Yes that was one of my favourites too 🙂 I will direct any West Highland Way queries to you! Thanks for including my tips and photos! This is a great collection of ideas, I cant wait to see some of them! This is a very exhaustive list. Actually I’ve been to quite a few of them, but quite a few I haven’t as well. But then it’s always the way that you don’t bother to visit the things that are near. I know what you mean – I’ve been on a ‘explore my backyard’ mission this year so have been to all the Southern ones, but I feel like there’s so much more left to see and do in the North of the UK! Thanks Brianna, haha yeah it’s taken me quite some time! Hope it’s a useful resource for your next trip to the UK! Thank you so much for including me in this fantastic resource that you have created. I’m honored to be a part of it. If this list doesn’t inspire a trip to Great Britain then I don’t know what will. Wow, what an inspiring list! Thanks so much for including me – can’t wait to explore more of Britain now!! Many thanks for this – a most interesting list. You may want to check the photograph with the entry for Canterbury Cathedral; I am not sure it is the Cloisters at Canterbury – possibly Salisbury? It’s a good excuse to come back to Canterbury to have another look! Thanks Chris, I will take a second look at the picture! I haven’t actually been to Canterbury Cathedral myself for a few years and don’t have my own photo so sourced a free to use one from online – which can sometimes be a little deceiving! All I can say is WOW. And since it’s a great time for an American to visit, I’m bookmarking this because I will certainly be referring to it. Thanks for the list. wow what a great list! very comprehensive. britain is one of my favorite countries that i always love visiting over and over. Perfect timing for this list, what with the pound losing some of it’s value! I’m sure it’ll bounce back, but hopefully I get to check these places of my list before then haha! I am definitely a UK fan so I will be sharing this and dreaming of all the things I have yet to do in the great mother country. Thanks for sharing, awesome read and suggestions. Thanks very much Melody! Haha, there’s lots to do here! Wow, I don’t even know where to start with this amazing list! I have never been to the UK and of course can’t wait to go but had no idea there were so many interesting places and sites, thank you for sharing this list! Pinning for when I can get there! I’m glad you like it Karla! Thanks very much for pinning, hope you get over to the UK soon! It’s epic post. I have been to more than half of the places listed. I love Britain. Just something feels broken in me after Brexit. Let’s wait and see. I postpone my Britain trips now, sorry. What an amazing list of must-sees! I totally agree that for a relatively small country, the UK packs a huge amount of culture, history and landscapes. Great list, shame there isn’t a mention of Chester though:( We have the biggest Roman amphitheater in the country and an ice cream farm as well!! Aw I may have to do a follow up if I find a few that I’ve missed – Chester sounds lovely! Fabulous list! I can’t wait to go back to the UK and knock a few of these off my travel list! 21 North Laine, Brighton looks so very cute! That’s one of my favourites! This is an amazing post! 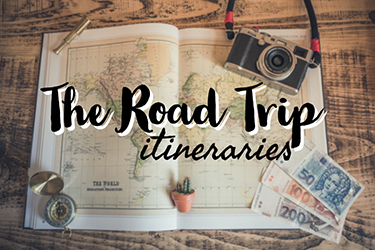 I have been dreaming about an epic 2-3 month road trip around Great Britain for a long time and this is exactly what I need to add stops to my itinerary! Thank you for sharing!!! Claire this is just brilliant, We were thinking about going to North Wales in July, but we’ve definitely got lots of other ideas now! brilliant inspiration! thank you. I just returned from Northern England and loved it. I don’t think the current changes would change my thoughts about visiting. I’d love to explore Scotland on the next visit. UK is undoubtedly a travelers dream come true, it has such a wide range of experiences to offer. For me the top ones would be London and Scotland. What a great list and so many places i have still to visit. You could add Cycle Rutland Waters 25 mile circuit to the East Midlands and also visit Foxton Locks series of 10 locks going up hill in Leicestershire. Thanks Dave! They both sound great, I’m yet to experience either! Whoa! What an extensive list! Love the detail and information and what a handy guide to have with you. This really is a great british bucket list! I would really love to see Brighton and Leeds. I have been to many of the places listed here, but on the other hand missed so many wonderful ones too.This is an amazing source of information. Thanks Sheri, I’m glad you enjoyed it 🙂 Hopefully it can inspire you to visit more of the UK! Brighton is one of my favourite places! Great list! I am pretty darn impressed that I have been to the majority of these places (I lived in Brighton and London, which really helps). You really have covered the areas! Well done, it’s a big old list to check off! Hands down the best write up I’ve ever seen about British highlights 🙂 Would LOVE to surf Newquay… very torn about stonehenge. This entire post I was going, must see THIS castle…. no, THIS one… no…. that one for sure. This post is killing me! So many beautiful pictures in one place. Thanks so much, that’s really great to hear 😀 I hope you enjoy reading! Wow, that’s a lot of reasons! The UK is becoming a hotter ticket for me with each post I see! I have just come back from a trip to London so i can relate to the London part of your post so much. i did the exact same things that you wrote including taking an aimless walk on the streets of London at night. This is a perfect guide for my future travel destinations and activities. I would love to do all of these! I love traveling in Great Britain. I’ve done the ones in London and the Giant’s Causeway. The ones in Cornwall and Yorkshire are next on my list! I am definitely bookmarking this page! I know exactly how you feel! I’ve been living abroad for 2 years, and now I am feeling the need to explore more of the UK once I get back. It’s terrible how little I’ve seen of my own country! 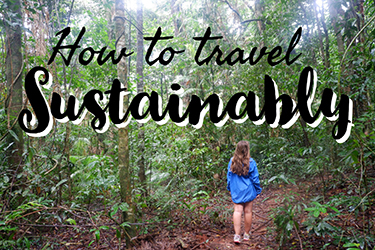 These are good travel tips! Although after the Brexit it is travelling to Britain is becoming affordable to US dollars spenders (which are great!). However, I’m more concern about the rising racism issues and for some Asian travelers like me, UK is not a priority for now. I’m really sorry to hear about this! Although I have heard of some incidents, I can assure you that most of us are equally as concerned and horrified at any issues of racism and we would love to welcome you to our country with open arms! England is an amazing country, the castles around the UK are one of my favourite places as they hold so much history inside their walls! As Parisian, I’m so closed to the Great Britain, and to this beautiful island. I’ve been there a couple of times, and I definitely want to go back. For me, there’s so much history and culture to discover, because England is like a giant cultural Island, and her people are quite amazing! I’ve heard so much about Brighton, and that’s definitely a place I want to go, and don’t ever mention the Isles of Scilly, which are quite an incredible place! Thanks for those 100 things to do, I will definitely back! of all places, all of them have not visited. but I often get around in Bali. Wow! Great list. I have only been to a few of these. We LOVED the London Eye and my kids point out Big Ben in TV shows and movies. Wow! There is SO much to see and do in London and UK in general. I regret only having four days to explore London and even then that was two short! The interactive map is super cool – I really like this feature, particularly when you have a long and detailed list of places to go and things to see. Will definitely bookmark for sure. Thanks for the time and effort put into writing all this up, certainly helps out fellow travellers. I’ve always wanted to visit London, it’s been on my list since I was a young girl. These photographs makes me want to work hard at that goal and get there with my family. Such an amazing place to visit. This list is amazing, such great tips. I’m pinning it for later. Visiting the UK has been number one on my bucket list for years. My best friend is actually from London, so she promised one day we would plan a trip and she would serve as my tour guide. This list includes SO many places I have on my own list, plus so many more I didn’t even know of! Fantastic! Hell of a list. So many things, so little time. I just crossed off some things from my bucket list in London. The incredible National Gallery and British Museum. You can just spend days in these warehouses of art. And the best part is: they are Free. So you walk in, walk out and savour art like a good glass of Bordeaux: with little sips. This is a very big complete list of the things to see in GB. You did a very good job, thank you for this. I really want to see the white cliff and the beach houses look so cute! Wicked list! I have spent some time in England, studying in London, with a trip to Wales and Ireland. But I haven’t made a dent in this list, so I think I’ll have to go back for a more comprehensive visit!! Wow what a comprehensive list! Great post it’s true we are so lucky to have so many wonderful places to visit in the UK. We love jumping in our camper van and heading somewhere new so this has given us a few new ideas. Thanks very much! Wao such a long list. England is such a nice place to visit with some wonderful attractions and nice places to visit in England. One of my personal favorite is Buckingham Palace. It is one of the few working royal palaces remaining in the world today. The lavishly decorated State Rooms of the Palace are open to visitors during the summer months, and you can visit all year round to see the famous Changing the Guard. You missed out Chester. Chester was founded as a “castrum” or Roman fort with the name Deva Victrix in the reign of the Emperor Vespasian in 79 AD. One of the main army camps in Roman Britain, Deva later became a major civilian settlement. … Chester is one of the best preserved walled cities in Britain. Chester is one of the most beautiful historic cities in England, famous for its galleried rows, Roman remains, shops & boutiques, the town crier, ghost walks and complete city walls. Chester’s Rows are covered walkways at the first floor in each of the city’s four main streets, are unique not only in Britain but everywhere is the world. They have allowed double level shopping in the town at least since the 13th Century. It has a Cathedral, the original church was built in the Romanesque or Norman style, parts of which can still be seen today. This church was subsequently rebuilt from around 1250 onward in the Gothic style, a process which took about 275 years an resulted in the incredible structure seen today. With the most complete set of monastic buildings in the country, a Georgian square and series of streets, the remains of Roman barracks on the Dean’s field and the largest open green spaces within the walls, visitors can eperience everything the cathedral has to offer. Nothing for East Anglia as far as I can tell but, as I’m now discovering via a photographic ‘project’ (website will very soon be updated for this), it has its own unique wonders, albeit a little different from elsewhere. Just as examples, Brancaster & Holcombe Beaches on the north norfolk coast (catch those huge skies and, when the tide is out, vast expanses of wildness) and the sea wall walk from Tollesbury to Heybridge along the River Blackwater in essex taking in Osea Island (lots of history about that) – the salt marshes, the oyster beds. Wild and, in a way, quite ‘strange’ with a kind of spooky feeling in certain weather. Sounds lovely! I’ll have to check out that part of the country one day. Not too far from where I live. I remember reading about Osea Island in one of my old jobs!